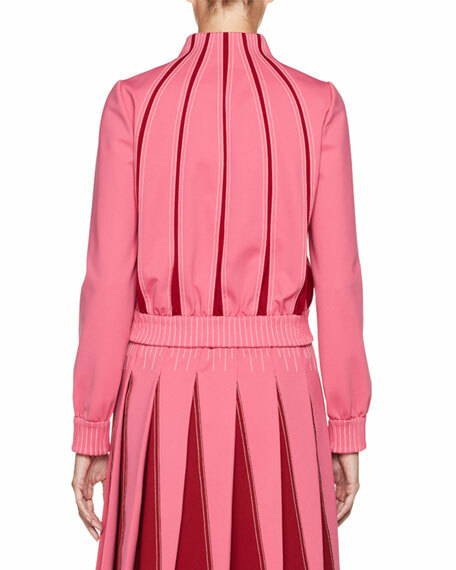 Valentino track jacket with contrast insets and vertical stitching detail. 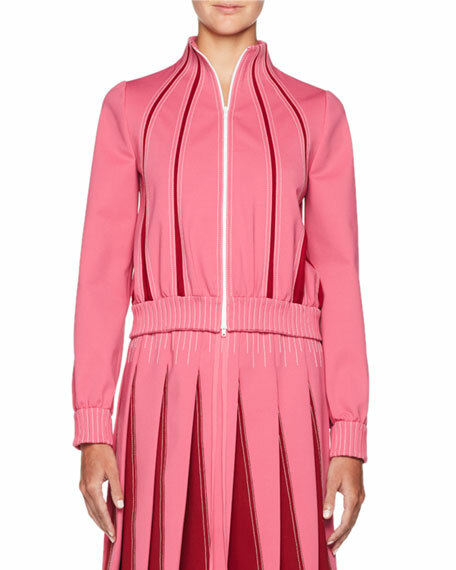 For in-store inquiries, use sku #2360356.
adidas by Stella McCartney track jacket. 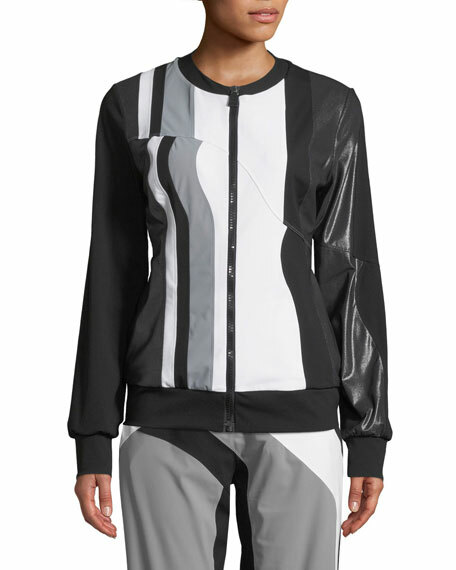 Collarless neckline; zip front with logo tape. Long sleeves. Side zip pockets. Relaxed fit. Back storm flap detail. Logo patch at back. Straight hem. Polyester. Imported. 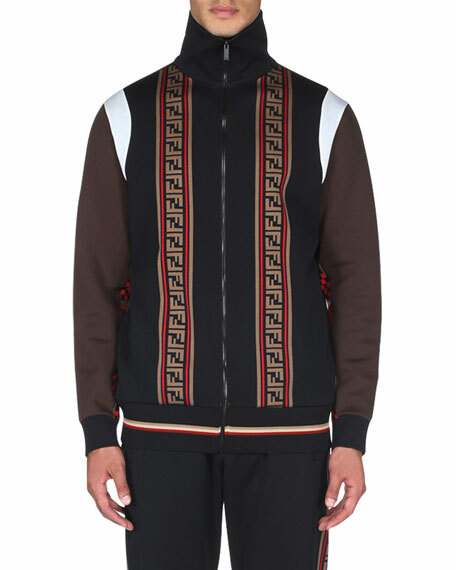 Fendi colorblocked track jacket with signature FF stripes. Stand collar; zip front. Side zip pockets. Straight hem. Cotton/nylon/polyester/spandex. Cotton/polyester trim. Silk/cotton trim. Polyester/nylon/spandex ribbon. Made in Italy. No Ka Oi "Nola" colorblock track jacket. Banded neck, cuffs, and hem. Collarless neckline; zip front. Long sleeves. Relaxed fit. Nylon/spandex/polyester. Dry clean. Imported. Model's measurements: Height 5'10"/177cm, bust 33"/84cm, waist 25.6"/65.2cm, hips 35.8"/91cm, dress size US 2-4/FR 34-36.